So, you’ve decided to paint your house! You’ve hired a painter (hopefully me) and now you’re ready to get it done, right? What about your colors? What design elements are you trying to incorporate? Are you asking ‘what are design elements’!?! Well, color can be the hardest part of completing any painting project and should be taken somewhat seriously. After all painting is not cheap! 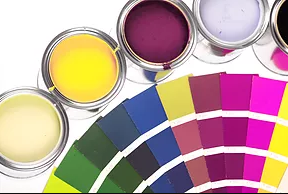 With millions of colors available, tons of places to get paint chips, thousands of design websites, and of course your friends’ input, color can be overwhelming! Sherwin-Williams has been addressing the color struggle for over 150 years and just launched ColorSnap! ColorSnap is a whole service in itself offering color tools to look at in-store, at home and on-line. The best tool I’ve used for cultivating ideas is the ColorSnap Color Visualizer. The ideas seem endless and you can upload a picture of your project to the website and play with colors and design ideas right from your own couch. Need to see it for real? Sherwin-Williams’ Color-To-Go quarts are an inexpensive way to see the color(s) on your wall before your contractor shows up to paint. Visit your local Sherwin-Williams or see them on-line at www.Sherwin-Williams.com or click on the photo’s below to be taken directly to the color tools!